Stay weird, Astoria, stay weird. 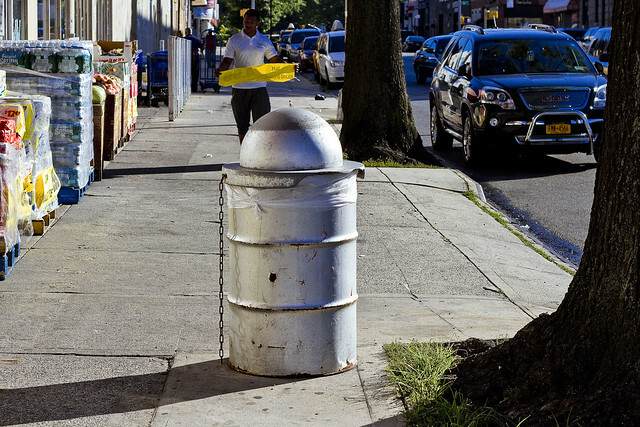 A couple of weekends ago, one was on his way to conduct a walking tour of Long Island City which was scheduled to begin at the Court Square Station on Jackson Avenue, so I found myself marching down Steinway Street towards Northern Blvd. Along the way, one of those little bits of Queens goodness manifested before me. Notice the garbage can in the shot above, and that there’s a little bitty thing sticking out of the top of it. I did. 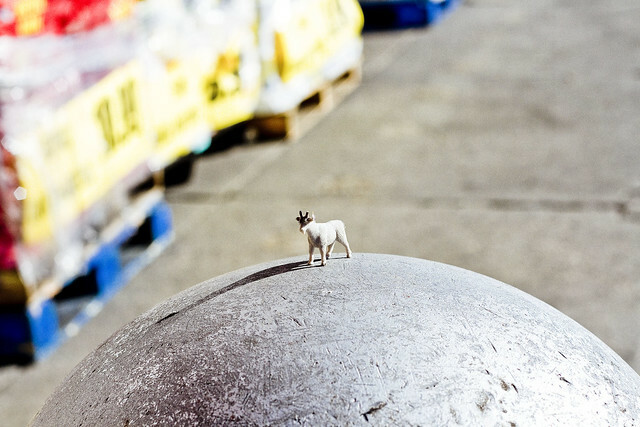 The little bitty thing, as it turns out, was a tiny plastic goat. 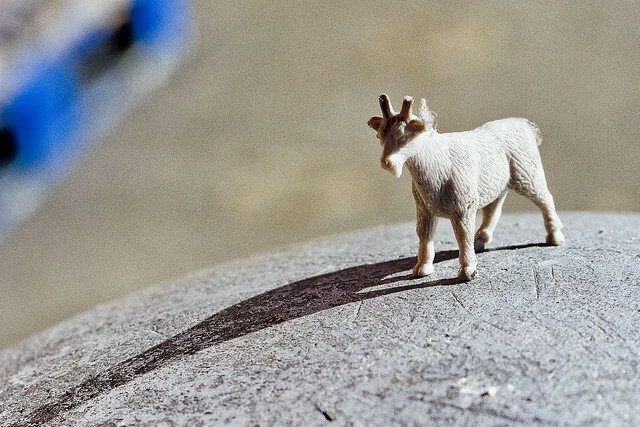 One hoped that it might be an actual miniaturized goat, as stranger things have happened in this area in the past, but it was unfortunately made of plastic. I have no words to describe the great appreciation and fondness one feels for Astoria, Lords and Ladies, which has to be the most authentically weird neighborhood in the entire City of Greater New York. It wanted a home and you passed it by. If you see it again, reconsider your option. It’s a good luck charm . . . or the devil in goat disguise. Take your pick. You do sort of “have” it in – in your photo archives.